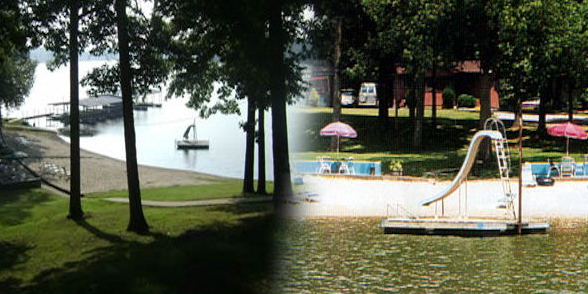 The owners and staff at Shawnee Bay Resort on Kentucky Lake understand that it's not easy to get away from the hustle and bustle of every day life. That's why they've established a secluded hideaway, nestled on 15 wooded acres along the shores of beautiful Kentucky Lake. Kentucky Lake offers 2,380 acres of shoreline and has earned the reputation of being a world-class lake for fishing, sailing and recreational boating. One, two and three-bedroom cottages set against a backdrop of luscious oak and hickory trees are available for rent spring, summer and fall. Each cottage provides a rustic setting for families and fishermen to enjoy as they kick up their feet and settle in for a few days of solace. All cottages are located along the waterfront, offering a breathtaking view from a screened-in porch that looks out over Kentucky Lake. All cabins are non-smoking. 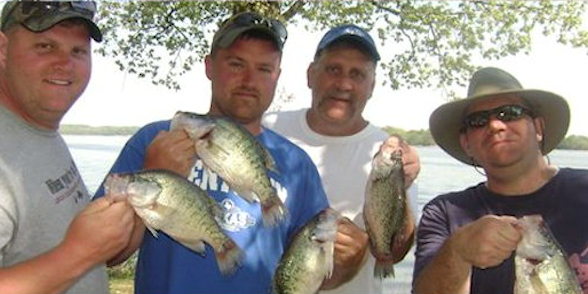 Kentucky Lake is touted as one of the finest fishing lakes in the country and the fishing guides at the resort will share their favorite fishing holes during the marina's "Check-In Briefing." 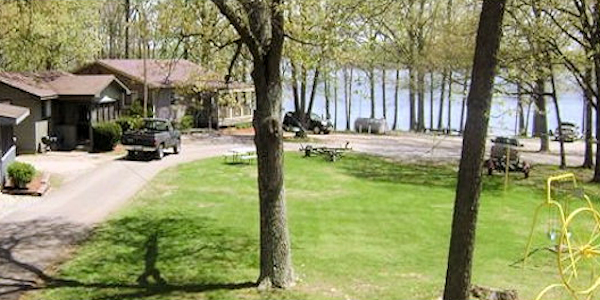 Shawnee Bay Resort's idyllic atmosphere makes it a perfect spot to cast one’s nets. The waters are plentiful with species such as bass, crappie, white bass, catfish, sauger and bluegill to nip at the fishing line. Guests can purchase fishing licenses and hire the services of a professional fishing guide from Captain Kirk's Guide Service or Kick' N Bass Guide Service. The resort also provides freezer service for fresh catches taken from Kentucky Lake, as well as topographical maps, souvenirs, a weigh station and launch ramp, artificial and live bait and tackle, and ice. Whether taking the boat out on the water or fishing from the marina's dock, fishermen love the convenience that the resort affords them. Available at the Shawnee Bay Resort's marina are a variety of fishing and pontoon boat options, including a Tracker and Lowe 16.5' fishing boat, a Bennington pontoon boat and a Sedona pontoon boat. Covered slips are available. The resort includes a private, full-service marina where resort guests can rent fishing boats, as well as luxury pontoon boats. The marina rents single or double wide covered slips, complete with electric hook ups for battery charging. Weekly and daily rates are available. There is also a fueling station on site. 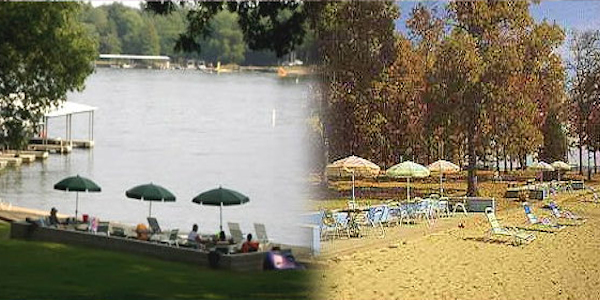 In addition to fishing and boating, guests at Shawnee Bay Resort can enjoy a host of recreational activities on the water or take a leisurely walk throughout the peninsula. A host of unique restaurants, antique and gift shops, as well as additional outdoor attractions can be found just a short distance from the resort. Those visitors who wish to partake of the natural and educational resources available at the Land Between the Lakes Recreation Area can enjoy hiking and bike trails, as well as a nature center, the elk and bison reserve and a number of other assets provided through this national park, which extends across the western portions of Kentucky and Tennessee. Guests looking for nightlife festivities might enjoy a drive to nearby Paducah or Murray, Kentucky, which offer a blend of locally owned restaurants, breweries, a distillery, retail shops and museums. Those seeking a diverse cultural experience will enjoy a nearby performing arts center, a symphonic orchestra and an independent art house cinema, all housed within Paducah's historic downtown.